On May 19, 2010, the Royal Thai Army deployed tanks, snipers, and war weapons to disperse the thousands of Red Shirts protesters who had taken over the commercial center of Bangkok to demand democratic elections and an end to inequality. 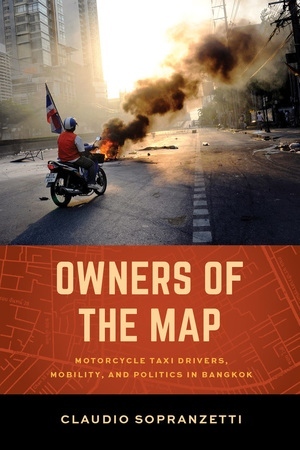 Key to this mobilization were motorcycle taxi drivers, who slowed down, filtered, and severed mobility in the area, claiming a prominent role in national politics and ownership over the city and challenging state hegemony. Four years later, on May 20, 2014, the same army general who directed the dispersal staged a coup, unopposed by protesters. How could state power have been so fragile and open to challenge in 2010 and yet so seemingly sturdy only four years later? How could protesters who had once fearlessly resisted military attacks now remain silent? 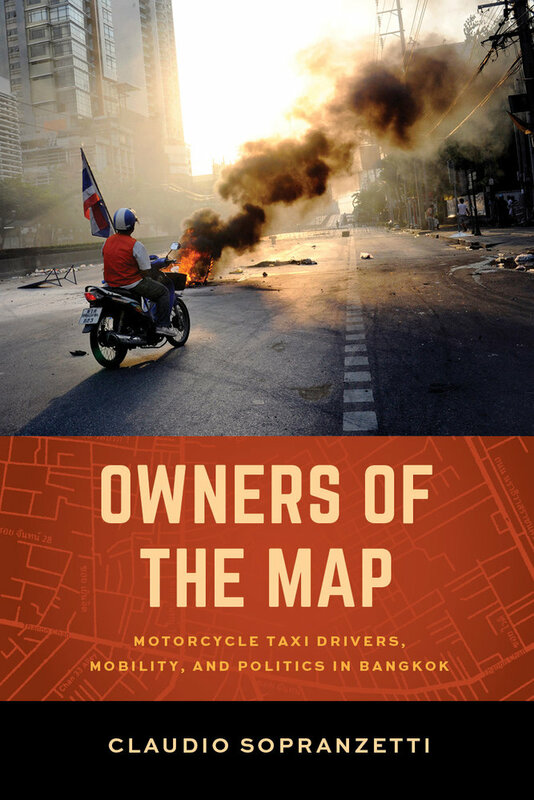 Owners of the Map provides answers to these questions—central to contemporary political mobilizations around the globe—through an ethnographic study of motorcycle taxi drivers in Bangkok. Claudio Sopranzetti advances an analysis of power that focuses not on the sturdiness of hegemony or the ubiquity of everyday resistance but on its potential fragility and the work needed for its maintenance. Claudio Sopranzetti is a Postdoctoral Research Fellow at All Souls College at the University of Oxford. He is the author of Red Journeys: Inside the Thai Red Shirt Movement. "Motorcycles & the Art of Politics in Thailand, with Claudio Sopranzetti" from the Carnegie Council podcast.